Available from Spring 2019 - Parkers are delighted to offer this new double-fronted detached residence situated in the highly desirable Woodberry Copse development in Lyme Regis, close to a wealth of amenities and the beauty of the world-renowned Jurassic Coastline. Built to a high specification by Bloor Homes and beautifully designed with thoughtful touches throughout, this exquisite family home offers spacious living throughout including a lounge, a kitchen/diner/family room through to utility area. 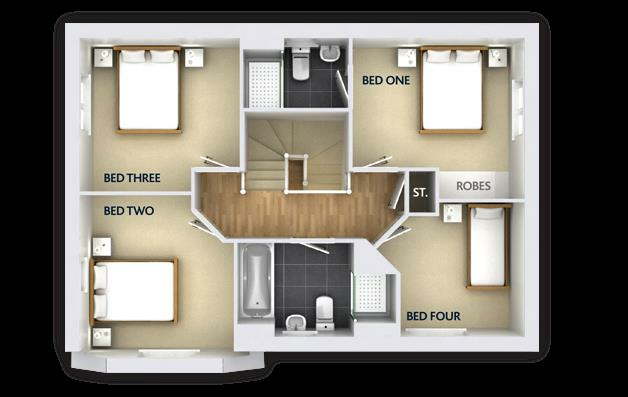 There are three double bedrooms and one single bedroom, with the master benefiting from en-suite facilities and also offering fitted wardrobes. There is a stylish family bathroom and downstairs cloakroom/WC. Externally there is a private enclosed landscaped rear garden, garage and additional parking. Help to buy, part exchange and assisted move are all available on this development. Built to a high specification, The Rainham is an outstanding double-fronted residence situated in a quiet location close to a wealth of amenities and the beauty of the world-renowned Jurassic Coastline. Beautifully designed with thoughtful touches throughout, this exquisite family home offers spacious living throughout including a lounge, a kitchen/diner/family room through to utility area. 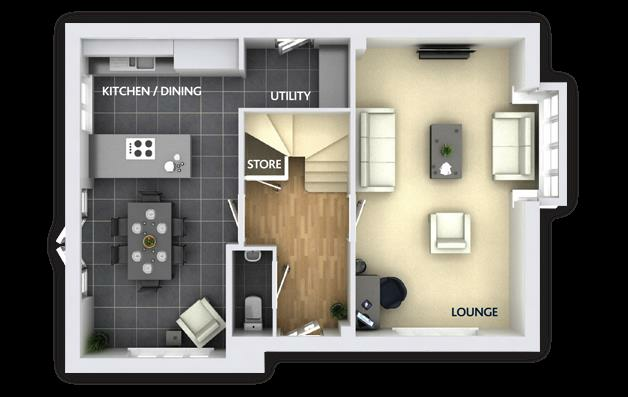 There are three double bedrooms and one single bedroom, with the master benefiting from en-suite facilities and also offering fitted wardrobes. There is a stylish family bathroom and downstairs cloakroom/WC. Externally there is a private enclosed landscaped rear garden, garage and additional parking. Bloor homes offer the purchaser of this beautiful home a 10 year warranty and 2 years Bloor Homes guarantee. There is also the option to enter in to the ‘Home Exchange Scheme’ making the process of securing your new home stress free. Help to Buy is available on this development – please enquire for further details. * Designed and built to adhere to superior building standards. * Fully integrated Bosch appliances including ceramic electric hob, double electric oven, cooker hood and fridge freezer. * Quality fitted wardrobes in bedrooms one. Bloor Homes are a leading, privately owned, award winning property developer. The company prides itself on its strong traditions of quality, value for money and a genuine desire to build homes that offer their customers years of pleasure. For each and every development, Bloor Homes make every effort to conserve the natural balance of the location including the conservation of wildlife and the preservation of the natural features surrounding. Care and consideration is taken to ensure that the environmental impact of every Bloor home is kept to a minimum.